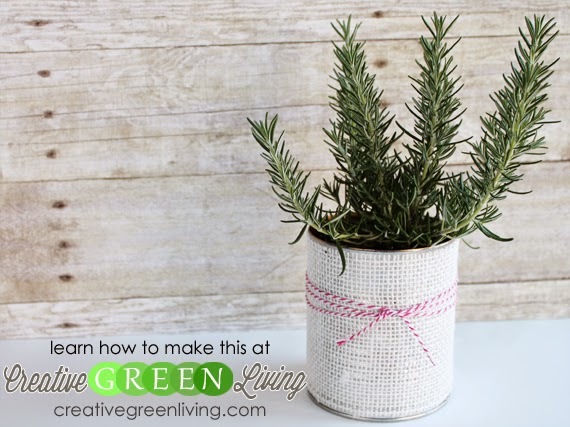 At Creative Green Living, we are all about recycled crafts! 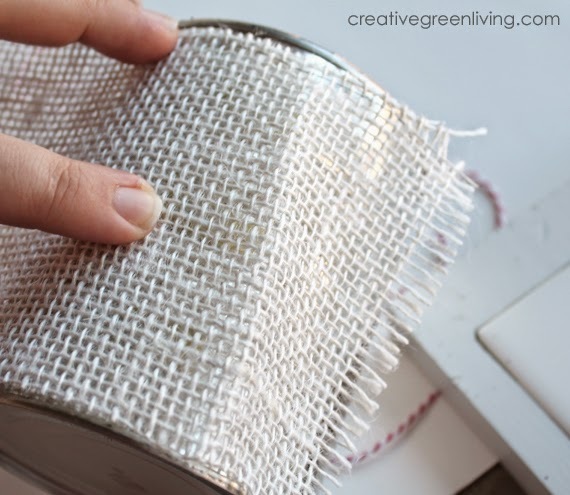 This week, with the help of my friends Carolina from 30 Minute Crafts and Angie of The Country Chic Cottage I'm going to bring you a new recycled craft that you can make in 15 minutes or less each day PLUS feature 6-10 other recycled crafts. Its a veritable recycled crafting extravaganza! 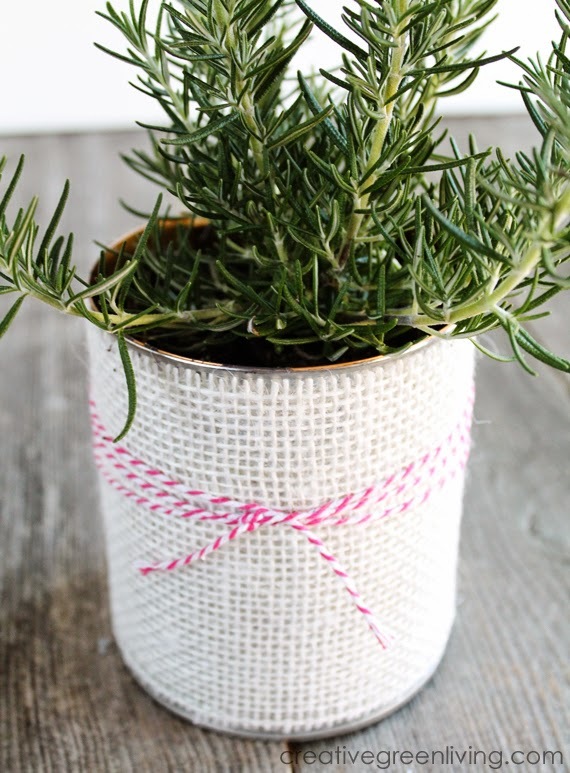 My craft for today is a cute, giftable planter. 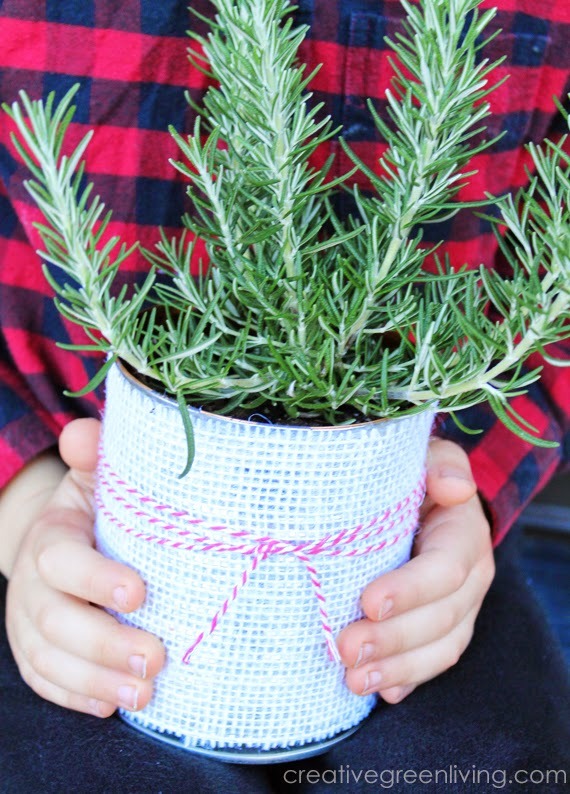 It's an easy way to dress up a 4 inch pot to make it 10 times more adorable and ready for gift giving. 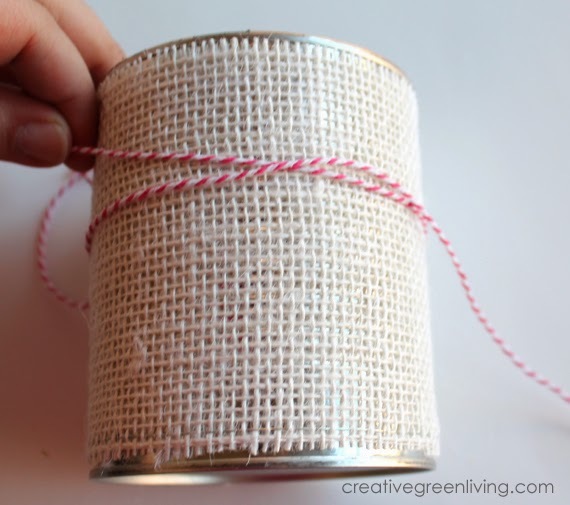 Cut the burlap ribbon long enough to wrap around the can with overlap. Trim the width as well if needed. 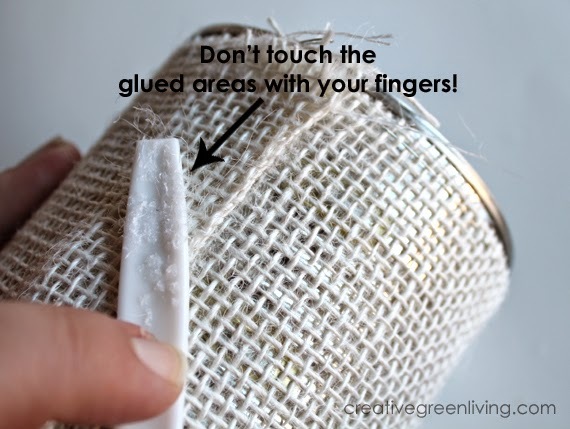 Use hot glue to secure the ribbon around the can. Use a chopstick or a plastic spoon to help so you don't burn your fingers! 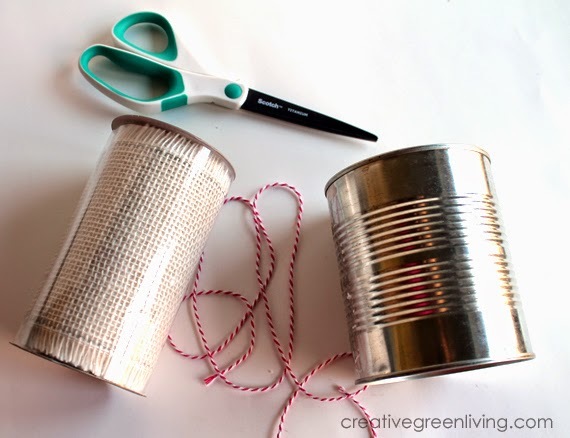 Wrap a length of baker's twine around the can several times as an embellishment. Transfer a plant from a small pot into the can. Now it's ready for gift giving! Gorgeous! And I rarely say that about a tin can! !